It may surprise many that their daydream of the picture postcard South Florida resort surrounded by spacious sandy beaches and warm turquoise waters will be found on Singer Island, and not in adjacent Palm Beach. 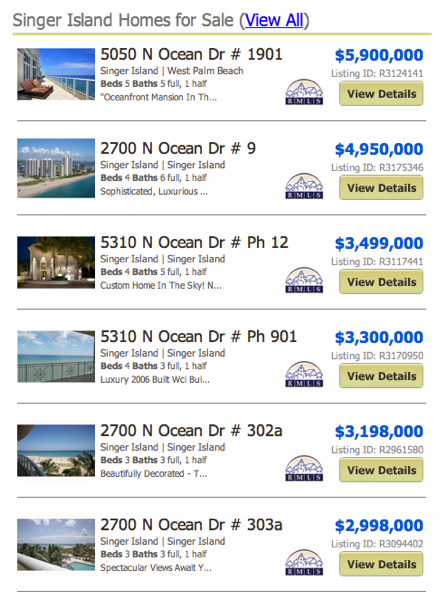 Singer Island Condos online now. All listings & Sold Statistics! Founded by sewing machine magnate Paris Singer, stunning Singer Island is the #1 destination for those vacationing in the Palm Beaches and desiring a first-class beachfront hotel. 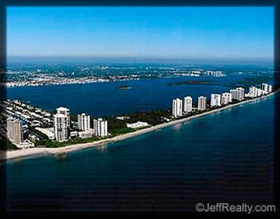 But Singer Island real estate is a destination spot too, for those seeking more long-term tropical paradise living. Here, owners of Singer Island Condos will enjoy the pristine beaches, sunny weather, world class fishing, crystal clear snorkling and SCUBA diving every day. An experience that out-of-state visitors can only daydream about once they’ve returned home. The warm Gulfstream waters and balmy Atlantic Ocean breezes combine to provide an ideal year round climate.Singer Island’s long sandy beaches are considered by many to be the best in Florida. Simply relax in the sun, or enjoy boating, cycling, snorkeling, sailing, scuba diving, and blue water fishing. Minutes away are the world famous golf courses at PGA. Singer Island condos are also close to shopping and entertainment at historic Clematis Street, CityPlace, Worth Avenue and the Palm Beach Gardens Mall. Posted in Singer Island, Singer Island Condos on May 27, 2011 at 7:00 am.